The AMFO state-wide competition of amateur photograph is the oldest and greatest state-wide competition of its kind in Slovakia; it enables a presentation and confrontation of creation of amateur photographers. The aim of competition is to search for talented photographers and to create the space for development of their creativity. The AMFO is a three-stage progress competition (regional and district rounds are organized by regional educational and cultural centres, the state-wide round of competition and exhibition are organized by a selected regional institution). The photographers are divided into groups according to age (up to 16 years, up to 21 years and over 21 years) and they compete in three categories: black-and-white photograph, colour photograph and multimedia presentations. The competition is neither thematically nor in genre limited. The best awarded and further chosen works are presented at the state-wide competition; an analytic seminar and creative workshop represent the specialized and educational part of event. Their aim is to support the artistic and specialized growth of amateur creators. The best appreciated works are nominated into a selection from which the jury will create a collection for Czech national competition and a collection for international competitions of amateur photograph under the auspices of FIAP. Annually the competition of original dramatic texts and theatre plays for the children and youth were announced by Puppet theatre in Žilina and Theatrical Institute in Bratislava since 2003, since 2009 it is announced by the Puppet theatre in Žilina and by the National educational centre in Bratislava and since 2011 the periodicity of competition changed – it is carried-out every two years. The aim of the competition is to initiate the rise and to support the presentation of original Slovak dramatic creation for children and youth (dramatic texts, theatre plays and dramatizations). The works are evaluated by specialized jury. The ceremonial announcement of results of competition is implemented within of Puppet Žilina festival. The winning play is put on stage in the theatre season to come in Puppet theatre in Žilina. This is a state-wide progress competition and show of amateur theatre of adults and it is a multi-stage one (regional and district rounds organized by regional educational centres and cultural facilities, state-wide round), with a progress onto the Scenic Harvest in Martin that is a top state-wide show of winners of competitions of amateur theatre with foreign participation. The aim of Belopotocký´s Mikuláš competition is to present the artistic level and results of activity of amateur theatre ensembles of adults and at the same time to follow and professionally to direct the area of interest artistic activity. The National educational centre in Bratislava is the inviting party and specialized guarantor of the competition. The show arose in Liptovský Mikuláš in 1954; it was organized irregularly on the district, regional and all-Slovak level; the periodicity has been changed (annually, every two years), it is carried-out annually in the present day, the Liptov cultural centre in Liptovský Mikuláš is organizer of its all-Slovak round. The prize has been founded in memory of Ján Johanides (* 08/08/1934 Dolný Kubín – † 05/06/2008 Šaľa), of a prosaic of European format which significantly made his best in development of modern Slovak prose. It is awarded since 2010. 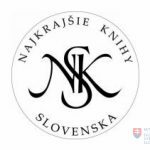 Its aim is to support the authors developing the Johanides´s inheritance in the present day and taking part with its creation in successes of contemporary Slovak literature. Every two years it is announced by the Šaľa town, by the Literary information centre and Honorary consulate of the SR in Hessen. The prize is awarded in two categories: for the best prosaic work which was published in two previous years with consideration to up to now work of author and its public echo; for the best prosaic work of young author up to 35 years which was published in two previous years. The specialized jury will choose from proposed works at most 10 works of both categories that proceed into final round, and the jury decide the laureates then. Every year the competition of Essay of Ján Johanides is written up which is intended to secondary-school students in region which compete with essays onto chosen ideas of Ján Johanides. The competition takes place in even years simultaneously with Ján Johanides´s award. Prestigious fine-art Oskár Čepan Award competition is intended to young visual artists and female artists (up to 40 years) acting on the territory of the Slovak republic. The pretenders must have a finished college study; they must actively create and regularly exhibit their creation. Also the artistic couples, groups or collectives may compete. The participation in competition is not limited by concrete fine-art media. The competition arose in 1996 from initiative of Wenda W. Luers, female president of American foundation of Civil Society Foundation, like a parallel do Czech Award of Jindřich Chalupecký and it has been organized by Slovak National Gallery then College of Fine Arts in Bratislava. Since 2001 it bears the name of Oskár Čepan foremost Slovak fine-art theorist, critic and visual artist, literary scientist and essayist (* 27/02/1925 Cífer – † 03/09/1992 Bratislava) and it is organized by Centre of contemporary art Foundation, since 2015 in cooperation with Residency Unlimited in New York and with financial support of Trust for Mutual Understanding Foundation. Since 2002 the Oskár Čepan´s Award is part of international network of identical competitions of Young Visual Artists Awards (YVAA), which take place in countries of Central and East Europe (in the Czech Republic is this the Jindřich Chalupecký Award, in Croatia Radoslav Putar´s Award, in Bosna and Hercegovina the Zvono Award, in Serbia the Dimitrij Bašičević Mangelos´s Award, in Macedonia Denes Award, in Kosovo the Artist of tomorrow Award, in Slovenia the OHO Award, in Albania the Ardhje Award, in Bulgary the Baz´s Award). The competitive works are judged by an international specialized commission composed of fine-art theoreticians, curators, pedagogues and artists in area of contemporary visual art which is nominated by Centre of contemporary art foundation. The commission will choose 4 finalists (they obtain a possibility to present their competitive works at the joint exhibition) and to present among them the winner of Oskár Čepan´s Award. The laureate of Oskár Čepan´s Award obtains a two-month residential sojourn in Residency Unlimited in New York, after the return he has enabled a presentation (separate exhibition, catalogue and others). The competition is intended to young poets up to 30 years which have not bookishly published work till now. The Association of Slovak Writers, Literary information centre in Bratislava, the Budmerice municipality and the SSS journal for young literature and Touches art are its organizers. The competitive works are judged by specialized jury. The Rudolf Fabry´s award laureate and appreciated holders of premiums will receive a possibility to publish a debut poet´s collection in Edition of young Slovak authors of “Touches” journal. The competition bears the name of avant-garde Rudolf Fabry poet (* 08/02/1915 Budmerice – † 11/02/1982 Bratislava). It takes place in his birthplace in Budmerice since 2008. It is a prestigious Award for architecture and it is competitive show which is annually announced and organized by Slovak Chamber of Architects for support of promotion and presentation of architectonic works of its members, of authorized architects. The aim of competition is to present the creation against to the public also against to potential investors. The culmination of competition is handover of CE∙ZA∙AR Award for architecture. The appreciation is awarded for an excellent professional performance (realized creation) in six categories; family houses; dwelling houses, civil and industrial buildings; renewal and rebuilding (earlier under the title of reconstruction and renewal of buildings); interior; exterior. The international specialized jury decide the prize award. One of the winning works can be proposed for nomination for prestigious Prize of European Union Mies van der Rohe Award. In selected towns of Slovakia a moving exhibition of nominated, appreciated and further chosen works will be carried-out. From the 15th year (2016) the Patron of architecture award (for an extraordinary contribution for architecture development which is not expressed by an architectonic work) is awarded. CINEAMA is the oldest and most prestigious state-wide competition in area of amateur filmic creation in Slovakia; it enables a presentation of works of various thematic and genre focusing and comparison of their artistic and technical level. The National educational centre in Bratislava is the inviting party and specialized guarantor. The event is a progress three-stage competition (regional and district rounds are organized by regional educational centres and cultural facilities; the state-wide round is organized by selected regional educational centre in collaboration with a cultural institution). Amateur filmmakers are divided into three age categories (up to 16 years, up to 21 years – in addition to undergraduates and graduates of film colleges), they compete in further categories: document, reportage, feature film, animated film, experiment, video-clip, minute film, sonnet (for CINEAMA, UNICA – for Slovak collection). The competition is not thematically restricted. In the state-wide round the event has a presentation part (projections of competitive and non-competitive films) and educational part (analytic seminar and consultation) which contribute to developing the knowledge and handover of experience in area of artistic creation also technical processing of filmic works. The best awarded work are nominated into selection of which the jury will create a collection for Czech national competition of Czech video saloon and a collection for world UNICA competition of amateur films. It is state-wide progress three-stage competition (regional and district rounds, state-wide round) and show of theatre of adults playing for children. The ensembles compete (with members in an age from 16 years) and also soloists (in an age from 16 years) playing for children in various kinds and genres of dramatic, puppet, musical and movement theatres. The ensembles, which put on stage literary, dramatic or author´s texts, register themselves; the individuals register themselves with performances with puppet or with one-actor theatre and pantomime. The competition presents and confronts application of various theatre styles; it creates a space for mutual inspiration, education and exchange of experience of artistic and pedagogical guidance of ensembles. The national educational centre in Bratislava is inviting party and specialized guarantor of the competition. Also a children´s jury – Agora forum evaluates beside the specialized jury the competitors in the state-wide round. Analytical and rating seminars on stagings of ensembles and on performances of soloists and a creative theatrical workroom are part of educational section of the event. The show takes place since 1992, in 1992 – 2000 it took place in Čadca and since 2001 it takes place in Rimavská Sobota. It is a state-wide progress competitive show of chamber and symphonic music. In district rounds (in some regions the show has also third stage – regional round) also in state-wide round the nonprofessional musical groups of instrumental music (chamber bodies from trio up to nonet and chamber orchestras) compete with members of all age categories (children, youth, adults). The pupils, graduates and pedagogues of ZUŠ, alternatively students, graduates and pedagogues of conservatoires in Slovakia are members of ensembles. It is competed in two basic categories: groups of acoustic instruments and instrumental groups. Both categories are further subdivided into subcategories according to number of player in individual bodies (small chamber bodies – from trio to nonet; chamber orchestras) and according to age (the children´s and youth´s categories – to 18 years, adults – over 18 years and mixed by age). The mission of this show is to detect talented instrumentalists in various chamber and instrumental castings, to support and further to develop their artistic and concert activity in area of serious music with emphasis to improvement of quality of the work of their artistic leaders. The National educational centre Bratislava is the inviting party and specialized guarantor. Divertimento musicale is a unique event for nonprofessional musical artistic ensembles in Slovakia; it takes place since 1984. It is a state-wide progress competition and show of theatre of young people. The competition is multistage one (minimally two-stage competition – it has district rounds and state-wide round), with a progress to Scenic Harvest in Martin what is a top state-wide show of winners of competitions of amateur theatre with foreign participation. On the FEDIM the nonprofessional theatre collectives compete which put on stage literary, dramatic and author´s texts and of which members are in an age of 15 – 26 years. The main aim of the competition is to present the artistic level and results of activity of youth amateur theatre ensembles and at the same time to watch and professionally to direct this area of interest artistic activity. The competition creates a space for mutual confrontation and inspiration, education and exchange of experience of artistic and pedagogic leadership of ensembles. The National educational centre in Bratislava is the inviting party and specialized guarantor. The main organizer of state-wide round is Gemer-malohont educational centre in Rimavská Sobota. Analytical seminar, discussion club and creative workrooms create the educational part of the event. It is an all-Slovak author´s literary competition in area of poetry, prose and essay. Also foreign Slovaks living in the states of Europe can engage into the competition. It is competed in four categories: A (pupils of 1st – 4th year of basic schools), B (pupils of 5th – 9th year of basic schools), C (students of high schools and grammar schools) and D (adults without age limitation including students of colleges). The competition is carried-out since 2002. It is a state-wide competition in creation of spiritual poetry, prose and drama. The competition is in single round and it is announced annually. In it authors compete which depict in their literary works the prime origins of our national Christian history and traditions, they catch up the life of significant personalities of the national and Christian history and the present times, they appreciate and celebrate the spiritual values of Christianly orientated culture. So the Gorazd´s Literary Prešov contributes in spirit of an international Agreement on protection of non-material cultural heritage (UNESCO) to creation, protection, conservation also repeated creating of Christian non-material cultural heritage. The aim of competition is to initiate the creation of spiritual poetry, prose and drama in Slovakia; to create a platform for specialized directing of this creation and creative dialogue of authors. The Theatre of J. Záborský in Prešov (a formation of educational activity), the National educational centre in Bratislava, the Greek Catholic archbishopric in Prešov and Society of Saint Gorazd in Bratislava are the inviting parties of the competition; the Theatre of J. Záborský in Prešov – the formation of educational activity in cooperation with further co-organizers is the main organizer of the event. The authors are divided into two categories: children (pupils of basic schools); youth (students of high schools) and adults. Their works are judged by specialized jury. Hviezdoslav´s Kubín is the oldest and most prestigious competition in artistic recitation and creation of reciting collectives and poetry theatres in Slovakia. The show arose in 1954. The Educational institute in Bratislava took over the specialized care in 1962. The show acquired gradually a high credit and it became the highest forum of amateur recitation of poetry, prose and poetry theatres in Slovakia. From the very beginning the accompanying bibliophiles, almanacs and publications were an inseparable part of Hviezdoslav´s Kubín. The Hviezdoslav´s Kubín it the state-wide progress competition and show in artistic recitation of poetry and prose, in creation of reciting collectives and poetry theatres of children, youth and adults. The aims of competition are: to present and confront the artistic level and results of activity of amateur reciters, reciting collectives and poetry theatres; to enlarge and to deepen the literary acquaintance of competitors, to develop their interests and gift in area of reading, recitation and interpretation of literature, creativity; to cultivate their language , speech, taste for rhythm, to practise relation to word as to a cultural and artistic value; to contribute to searching for of talented pupils and students in area of artistic word, to lead them to a separate creative activity: to enable to pedagogic workers to utilize the knowledge from competition for betterment of upbringing and educational process of children and youth in subjects of the Slovak language and literature, aesthetical and ethical upbringing (art education) and to offer to the cultural workers a possibility for betterment of cultural life in places and regions. The individuals (children, youth and adults) also collectives compete in categories according to the age. The winners of all-Slovak round are chosen onto the Scenic Harvest in Martin, Kremnica gags in Kremnica as well as onto further state-wide and international events (International festival of poetry in Valašské Meziříčí, Czech Republic). The National educational centre in Bratislava is inviting party and specialized guarantor of the competition, the Literary information centre, Association of Organizations of Writers of Slovakia, Club of independent writers, Orava Museum of P. O. Hviezdoslav, Orava library of A. Habovštiak, Orava cultural centre, Municipal office in Dolný Kubín are its organizers. The competition is a multi-stage one, it is under way in more rounds: 1st class rounds, 2nd school rounds, 3rd ward rounds, 4th district rounds, 5th regional and 6th county competitions and shows, 7th all-Slovak competition and show. The all-Slovak round is organized with a specialized guarantee of the National educational centre in the Municipal cultural centre in Dolný Kubín. The rating discussions, creative workrooms, exhibitions and other accompanying actions are part of the event. An all-Slovak competition of producers of popular musical instruments is carried-out within Folklore festivities under Poľana in Detva. The competition of Instrumentum Excellens with the Prize of Ladislav Leng took place in 1975 – 1985, under of Instrumentum Excellens FSP Detva took place in 2001 – 2010 (the best participants received the Prize of Instrumentum Excellens FSP Detva) and now it takes place since 2017. The Detva town is inviting party of the competition; the Central Slovakian educational centre in Banská Bystrica and Cultural centre of A. Sládkovič (the Museum in Detva under Poľana) are its co-organizers. The aim of competition is to map and to document the contemporaneous occurrence and production of popular musical instruments, of their producers and interpreters in Slovakia and of types and technologies of production. An exhibition and creative workroom are part of the event. It is an all-Slovak literary competition for young prosaists. It is named after Rudolf Jašík writer (* 02/12/1919 Turzovka – † 30/07/1960 Bratislava) of which important part of literary creation is connected with Kysuce. The Association of Slovak Writers and Kysuce library in Čadca are inviting parties of the competition; the Literary Fund and Kysuce Cultural Foundation are its co-organizers. In competition the authors under 35 years may take part which had not yet published a book. They compete in categories: adults from 18 years and youth from 10 to 18 years. The competitive works are judged by a specialized jury composed of representatives of Association of Organizations of Slovak Writers, Union of Slovak Writers and Literary Fund. The jury suggests following prizes: Rudolf Jašík´s Award, 3 premiums of Rudolf Jašík´s Award in category of adults and a Premium of Jozef Hnitka in the category of youth. The evaluation of competitive works takes place in Kysuce library in Čadca. The specialized seminars, debates with Slovak writers (prosaists) are the accompanying events. It is an all-Slovak literary competition of spiritual creation in categories poetry and prose intended above all for fledgeling authors. Žilina self-governing region, Kysuce library in Čadca and the Klokočov municipality are its organizers. It is named after Pavol Hrtus Jurin (* 01/10/1919 Klokočov – † 31/12/1994 Melbourne), prosaist of Catholic Modernism and it is carried-out in his birthplace in Klokočov. Authors, of which works were not published till now in book form, compete and also exceptionally an author which published his creation by own edition, resp. which published already bookishly but the specialized jury will appreciate his competitive contribution as an extraordinary deed in area of original spiritual creation. The competition is not limited by age. It is carried-out since 2005. The Camera competition is announced by Association of Slovak Cameramen. It is carried-out in two-year periodicity since 2001. The works are registered by cameramen, other audiovisual creators, producers, television broadcasters, distributors and creative artistic associations. Excellent creative cameraman´s performances and pictorial depiction of the work in five categories are awarded: feature film (main prize), feature television film and television serial, documentary and short feature film, audiovisual publicity and video clip, the best student´s film. Also the prize for lifelong work is awarded. The prizes are awarded by the Association of Slovak Cameramen in cooperation with the Literary Fund. The awards cover the whole spectrum of audiovisual creation in Slovakia and they are also a presentation of results of work of Slovak cameramen at home also in abroad. IT is an all-Slovak competitive festival of Hungarian adult singing ensembles. It is organized every three years in Galanta since 1969. Hungarian Societal and Cultural Union in Slovakia and Regional committee of Csemadok in Galanta are the organizers of this competition. Concerts of competing domestic and foreign ensembles appearing as guest in Galanta and in surrounding municipalities, exhibitions, specialized conference are accompanying events. It is a literary competition for fledgeling authors of poetry and prose. The Žilina self-governing region, Liptov Library of G. F. Belopotocký in Liptovský Mikuláš and Liptovský Mikuláš town are the inviting parties. The competition bears the name of Ivan Laučík (* 04/07/1944 Liptovský Mikuláš – † 12. 5. 2004 Liptovský Mikuláš), he was a member of “Solitary runners” poets group, and to is carried-out in his birthplace in Liptovský Mikuláš since 1983. This state-wide progress competition and show of small brass bands is a top event in Slovakia. Its aim is to present the artistic level also results of activity of small brass bands and to support their artistic growth. It enables a comparison of artistic level of small brass bands and exchange of experience in area of brass band music. The National educational centre in Bratislava is its inviting party and specialized guarantor. The show is carried-out in Lednické Rovne. It is a state-wide competition of authors of poetry and prose. It bears the name of Ladislav Novomeský (*27/12/1904 Budapešť – † 4/9/1976 Bratislava), of which parents came from Senica, where he survived a part of childhood and young years; the Senica motives we find in its poetry. The Trnava self-governing region, Senica town, Záhorie library in Senica, Society of Ladislav Novomeský in Bratislava, National educational centre in Bratislava, Union of Slovak Writers, Literary information centre in Bratislava, Záhorská gallery of Ján Mudroch in Senica are the inviting parties of the competition. The competitors are divided into three age categories and they compete in genres: poetry, prose, reportage, travelogue, dramatic formation and the like with till now in book non-published works. The competition is not thematically limited. The competitive works are judged by a specialized jury, the best works are remunerated by prizes: by prize of chairman of Trnava self-governing region as the main prize for poetry, by Prize of Literary information centre like the main prize for prose and by 1st, 2nd and 3rd prize in individual age categories. The Literary Prize of Ladislav Novomeský is carried-out since 1986, in the first competitive decade at the regional level it is a state-wide competition since 1996. Literary original story for children competition is intended for authors over 18 years, which compete with up to now non-published stories. The aim of the competition is to deepen the interest in original story for children, to develop this literary genre, to inspire the authors to the creation and to support the fledgeling authors. In addition to free theme the authors may literally to treat the facultative themes which are prepared annually by a collective of psychologists, pedagogues, men of letters and children. The Perfect publishing house, Fifík children journal and children´s Association of tortoise are inviting parties of the competition. The competitive stories are judged by a jury composed of literary editors, writers and teachers. The judge makes also a choice of 20 stories (appreciated and further selected works) which will be published in anthology (in print also electronic form) called according to winning story; the stories are published in Book review and in Fifík journal. The main prize of competition is appreciation of Child Award and for a story which will be chosen by five children´s reader´s collectives. The authors obtain also further appreciations – Fifík journal award, Award of Association of tortoise, Book review award und the Perfect publishing house award. The competition is carried-out since 2005. It is an all-state competition of literary creation of authors, of members of literary clubs and circles. The National education centre is its inviting party and specialized guarantor; the County Library of Ľudovít Štúr in Zvolen and the National educational centre are its organizers. The mission of competition is to support, to develop and to present literary creation as the part of amateur artistic creation, to enable a creative dialogue and mutual communication between authors and clubs. The competition has two rounds: selective one (they can be organized by literary clubs and circles, regional educational centres and by centre of leisure time) and the state-wide round. The participants (the authors over 15 years which had non-published publication up till now) compete in two categories: poetry and prose. The jury that evaluates the competitive works in the state-wide round is composed of significant personalities of our literary life. The ceremonial announcement of competition results take place in County Library of Ľudovít Štúr in Zvolen, the analytical seminar and literary evening are part of it. A collection of selected works of awarded authors is published annually to the competition which is published by National educational centre. The Literary Zvolen arose in 1992. The prestigious fine-art competition of Painting – VÚB Foundation Award for painter´s work for young artists is carried-out annually since 2006. It is intended for professional visual artists (graduates of colleges of fine-art focusing) in an age from 24 to 35 years. The aim of competition is to support and to promote the creation of young visual artists, to present it to the public and to help to young talented visual artists to start up the professional career and to establish themselves on the artistic scene. The competition is not thematically limited. The painter´s works created within last three years can be registered which not obtained appreciation in other or foreign competition. The works in form of diptych resp. of polyptych may be registered or not even works which arose by collective cooperation of artists. The very authors register the works into competition. The rating of competitive works goes along in two rounds. The international specialized jury composed of active visual artists, curators, gallery owners, art historians and fine-art theorists will choose from registered paintings 20 works into the finals and from them will come three winners. The public can look at 20 final best works at the representative exhibition in Bratislava Nedbalka gallery and in the virtual gallery in Internet. The moving jubilee exhibition of 10 years of Painting presented the works of until now winners of Milano Gallerie d´Italia in 2015. It is a literary competition in area of fantasy, the most prestigious story competition in genres: sci-fi, fantasy and horror. It was announced for the first time under the Rocket title in 2003; the Fantasy journal and Fantasy civil association are its inviting parties. The aim is to support new talents in area of fantasy and to obtain the new authors for Fantasy journal. The competition has been renamed onto the Fantasy Award since 2005. Since 2013 when the Martinus.sk greatest Slovak Internet bookshop became the general partner of the competition the name of competition was completed to Martinus Fantasy Award. The rating goes along in two rounds: in the first one the jury selects from anonymous texts five final stories which are then published; in the second round the readers decide the winners by voting. The winner receives the Fantasy Award and he obtains an artistic statue by Andrej Csillag sculptor. Since 2007 the special Bibliotéka´s Prize is awarded which is evaluated from all accepted stories separately; further special award were in the increase: Béla Award for the best horror story (since 2009), Intel company Award for the best sci-fi story (since 2011), Civil Association Award of Fantasy for the best fantasy story (since 2012) and the Jury Award (since 2012). The final texts have been initially published in Fantasy journal, now they are published on the portal of kultura.sme.sk, the best stories are published in Fantasy book collection, further stories are being chosen for publishing in e-Fantasy e-anthologies. The announcement of results was carried-out for the first time at the Istrocon Martini 2003 fantasy festival, since 2004 the announcement of results is part of accompanying programme of International Book Fair of Bibliotéka. Since 2014 the Fantasy Award English competition in the best fantastic story in the English language for Slovak and Czech authors is carried-out every two years. It is a state-wide literary competition of young authors in the genre of story. It takes place since 2013. The Orava cultural centre in Dolný Kubín is its inviting party and organizer, Orava Library of A. Habovštiak in Dolný Kubín is its co-organizer. The mission of competition is: to enable self-realization of children and youth with relation to literature, to activate and to support the creative growth of young talents, to enable a public presentation and creative confrontation of their creation and to increase the interest of young generation in original Slovak literary creation. The competition is not thematically limited. The competitive texts are evaluated by a jury composed of men of letters and college pedagogues. The evaluation of competition at the participation of appreciated authors, specialized jury and organizers is carried-out in Orava Library of A. Habovšitak in Dolný Kubín. It is an all-Slovak progress competition and show of children´s and member´s of youth organization singing ensembles, the oldest and the only progress competition in area of choral singing of children and youth in Slovakia in last years. In uneven years the children´s ensembles compete and in even years the members of youth organization compete alternately. Children´s singing ensembles take part at the competition, which as a rule work at the basic artistic schools and basic schools and also the member´s youth organization singing ensembles in an age from 15 to 19 years take part. The competition enables a confrontation of results of artistic activity of singing ensembles at regional, county and state-wide level, to the best ensembles it is enabled to concert before specialists and broad public what assists to increase their artistic level. The National educational centre is its inviting party and specialized guarantor, the regional educational a cultural facilities are the organizers of regional and country rounds and the selected regional institution or subject are the organizer of state-wide rounds (venue for state-wide round and place of evaluation of competition are changing). The performances of competing singing ensembles are rated by specialized juries at all stages of competition which rank the ensembles into bands (golden, silver and bronze bands). The members of juries of county competitions will propose progressing ensembles into the state-wide round; advisory board of National educational centre for choral singing decides the definitive number of participants of state-wide round. The show has also a non-competitive part – concerts of singing ensembles appearing as a guest, upbringing concerts of singing ensembles in schools and concerts at squares as well as the educational part – rating and analytical seminar, workshop. The “Youth sings” was carried-out for the first time as a non-competitive festival of children´s singing ensembles in 1970. The Educational institute (today it is the National educational centre) was main organizer and guarantor from very beginning. From the 3rd year the competition of children´s ensembles alternate one year with a competition of members of youth organization ensembles in the second year. The competition is a continuer of tradition of a state-wide competition founded in 1965 and organized by the Czechoslovakian headquarters of book culture, Slovak headquarters of book culture and Museum of National Literature. In 1993 the name of competition was changed into the “Most beautiful books of Slovakia”. The BIBIANA international house of art for children is the main organizer; the co-organizers are: Ministry of Culture of the SR, Ministry of Education, science, research and sport of the SR, Slovak National Library and Union of Printing in Slovakia. The aim of the competition is to support and to appreciate the increasing of fine-art level and quality of polygraphic processing of books. The books registered into the competition are classified into seven groups: scientific and specialized literature; polite literature; literature for children and youth; textbooks; books on fine art and pictorial publications; bibliophile prints; study works of undergraduates of fine-art and polygraphic schools. The books from production of publishers, printing houses and other legal persons and natural persons from Slovak republic can be registered into the competition; books published in coproduction with foreign partners can register if also the authors from the Slovak Republic took part at their creation. The books are registered into the competition by publishers or by school of fine-art or polygraphic focus with seat in the Slovak republic. The registered books are evaluated by specialized jury composed of specialists from area of book culture, especially of illustrators, graphic adapters, photographers. The jury will choose 20 books meeting the demanding fine-art and technical criteria which are then declared for the most beautiful books of Slovakia. The particular prizes are awarded to creators of chosen titles from the collection: Ministry of Culture of the SR Award to a publishing house for total visual and technical quality of the book; award to an author for excellent illustrations; to an author for excellent graphic adaptation; to a publishing house for bibliophile edition; Award of Union of Printing in Slovakia to a printing house for extraordinary polygraphic treatment; Award of Ministry of Education, Science, Research and Sport of the SR to a publishing house for the textbook; BIBIANA Award to a publishing house for the most beautiful children´s book; Award of Slovak National Library for student´s work. The competition for the most beautiful children´s books arose in support of editing the books noteworthy in fine-art form for children and youth in 1990. One year later (in 1991) also the literary component in competition for the best children´s books began to be evaluated. The BIBIANA international house of art for children and the IBBY Slovak section are organizers of this competition. The original and translated books published in last relevant season compete in two categories: the visual jury chooses the most beautiful children´s book (appreciation is awarded to illustrator and publisher) and the literary jury chooses the best children´s book (the text author resp. the translator and publisher obtain the appreciation). The obtained award can be presented in book by publishers. The national award for design is the highest form of appreciation in this area. The aim of this prestigious competition is: to support the professional creative work of design creators and producers in Slovakia; to support the application of Slovak designers, producers and professionals working in the area of design in the international environment particularly within the EU; to motivate the producers in the SR to cooperation with professional designers; to support development of the design theory and of specialized journalism in this area; to map, to document and to present the design development in the SR. The Slovak design centre together with the Ministry of Culture of the SR announce the state-wide competition of design. The competition is carried-out since 1993. Up to 2015 it was organized every two years for all areas of design; since 2015 in uneven years the award for product design and in even years the award for communication design are awarded. It is competed in three categories: professional design (professional product design – products made in assembly line; professional communication design – results, process, tools, principles and creation technologies determined for information intermediation of which product design has been created for a concrete client and which have been put into practice); student´s design (the student´s projects from area of product design; student´s projects in area of communication design created under leadership of pedagogues as semester, bachelor´s, master´s and dissertational works which arose on the ground of the college with teaching of design in the Slovak Republic or during the study or research fellowship at the college with teaching of the design in abroad); design with value added (with a social or ecological functions that supports the ideas of permanent sustainability and responsibility of designers, producers and clients) also results of own initiative of professionals or students (without order of client and without entry of pedagogues), innovative design conceptions and prototypes or research projects which arose out of school environs. In competition the domestic and foreign designers can take part cooperating with a Slovak producer, further the domestic and forcing producers collaborating with a Slovak designer, students of design, designer´s studios and clients. The competitive works are judged by an international specialized jury composed of industrial and graphic designers and specialists. In the premises of Slovak design centre an exhibition of finalists, of awarded and selected works is carried-out annually. The state-wide progress competition and show of folklore groups is a top event of this category in Slovakia. The National educational centre in Bratislava is its inviting party and specialized guarantor. The aims are: to activate the folklore groups to regular activity; to search and to reconstruct the unknown and less known folklore tradition; to present the results of work of folklore groups being directed to enlivening of local traditions and to their repeated introduction into life of village community. Regional and country rounds are carried-out in form of a competition; specialized juries may award the bands (golden band with progress and golden, silver and bronze bands); the state-wide is by form of a show with awarding of laureate title and bands (golden, silver, bronze ones). Every folklore group can perform only with one programme band. The programme wholes of competing folklore groups can have music, thematic and monothematic character. The New Drama festival of staging´s of contemporary Slovak and world drama is a competitive show of the best staging´s of contemporary drama implemented for last year in theatres in Slovakia. It is carried-out annually since 2005, since 2007 it is a competitive festival. Its aim is to present, to support and to promote the contemporary theatrical creation, its creators and its presentation in Slovakia and to support the putting of current texts on the stage at all. The Theatrical Institute in Bratislava, Town Theatre of P. O. Hviezdoslav and the Bratislava Cultural and Information Centre are the organizers of the festival. 8 – 10 stagings compete in main competitive programme, an international specialized jury awards the Grand Prix of New Drama, also the Prize of student´s jury is awarded (the student´s jury is formed by the graduates of colleges of humanitarian direction) as well as the Prize of Bratislava viewer. The specialized jury may, in addition to main prize, award also special jury prizes for particularly noteworthy performances or contribution. The New Drama festival has also a rich accompanying programme (scenic readings; exhibitions, workshops, lectures, conferences, seminars, discussions) and within the Focus foreign section the current drama always of other European country is presented. In addition to handover of festival awards also the handing-over of the Drama competition for the best dramatic text in the Slovak language are part of final festival ceremonial. It is an all-Slovak literary competition in creation of poetry a prose and it is carried-out annually since 1999. The authors register themselves into the competition with unpublished poetry or prose. The Bernolák Literary club at the Association of Saint Vojtech in Trnava and Local Department Slovak Cultural Society are the inviting parties in cooperation the Trnava town, Library of Juraj Fándly, with Bernolák´s Society in Bratislava and editor´s office of the Culture fortnightly journal. It is competed in three categories: pupils and students up to 15 years, authors from 16 to 30 years and authors over 31 years. It is a state-wide competition of literary creation of authors, members of literary clubs and circles. Its aim is to support, to develop and to present their literary creation in all-state context, to enable a creative dialogue and mutual communication between authors and clubs. The Žilina self-governing region and Regional Cultural Centre in Žilina are its inviting parties; the Regional Cultural Centre in Žilina is its organizer. At the competition the authors in age from 14 years (the upper limit is without limitation) may take part which had not yet published in book form. It is competed in two categories: poetry and prose with optional themes, poetry and prose for children and youth. The competitive works are evaluated by a specialized jury, the authors of the most interesting works are appreciated at its suggestion by the organizer – in every category are the 1st, 2nd and 3rd places. The winner will obtain the main award of the competition: rainbow lamp. The competition is carried-out since 1993. It is a state-wide progress competition and show of children´s folklore ensembles as a top event of this kind in Slovakia. The National educational centre in Bratislava is its inviting party and specialized guarantor; the Liptov Cultural Centre is realizer and organizing guarantor of the state-wide round. The mission of the competition is: to support the development and to increase the artistic level of children´s folklore ensembles; to popularize the upbringing by popular art and to show onto its meaning in the complex upbringing; to lead the children to knowing the traditional popular culture in Slovakia and the areas historically populated by Slovaks. The progress competition (regional and county rounds, state-wide round) is carried-out in two years periodicity. The children´s folklore collectives with a competitive turn treating the traditional popular culture from the territory of Slovakia and from the areas historically populated by Slovaks (collectives of foreign Slovaks). The performances of competing ensembles at every stage are evaluated by specialized juries. The general director of the National educational centre appoints the jury of the state-wide round and it is composed of specialists of the area of choreography, ethnochoreology, dance pedagogy and ethnomusicology. The rating runs by ranking the competitive turns into the golden, silver and bronze bands; the best collective obtains a laureate title (two titles of laureate may be awarded). The competition laureates present themselves in programme of „Východná” Folklore festival in the following year. One of the leading children´s ensembles receives the Award of Kliment Ondrejka; the leaders of partaking children´s ensembles decide its awarding. It is a literary competition carried-out annually since 1996, the KK Bagala publishing house of original creation is its inviting party. The mission of competition is to look for new prosaists and to give a chance to talented authors. Authors with stories, which were not published nowhere as far (also not in Internet), can take part. Their works are judged by a jury composed of literary scientists and writers. The awarded works are published in „Story” collection and the laureates receive an offer for publishing of separate prosaic book. A state-wide progress singing competition of children and youth in interpretation of Slovak popular song is the greatest children´s singing competition in Slovakia. The world-known opera singer – Peter Dvorský – is guarantor of the competition, Peter Štilicha poet and translator is its president. In 1990 they founded together an all-Slovak singing competition of children in interpretation of Slovak popular song under a title of Zornička´s nightingale; since 1995 the competition name has changed into Nightingale of Slovakia. The competition is organized by civil association of Nightingale of Slovakia, of which chairman is Peter Dvorský, the representatives of Union of Musical Folklore, pedagogues, supporters and followers of the competition are in the executive committee. The progress competition runs from class and school rounds through district and regional rounds up to the final state-wide round in which 24 singers, winners of three categories (I. pupils of 1st – 3rd year of basic schools and pupils of basic artistic schools, II. pupils of 4th – 6th year of basic schools, resp. of 1st year of basic grammar schools and III. pupils of 7th – 9th year of basic schools; resp. of 2nd – 4th year of eight-year grammar schools and pupils of basic artistic schools) compete, from all eight regions of Slovakia for highest awards: the golden, silver and bronze Nightingales of Slovakia. The winners will present themselves also at the „Východná” folklore festival and at the event of Nightingale – Small singer in Prague. The Nightingale of Slovakia became an inspiration for singing competition of children of our countrymen in Canada (Canadian Nightingale) and in USA (American Nightingale). It is state-wide competition of chronicles and monographs of towns and municipalities of Slovakia, self-government, organizations of third sector and of private persons. The National educational centre in Bratislava is its inviting party, specialized guarantor and realizer. The Slovak National Library, Slovak National Archive, Slovak National Museum and Association of towns and municipalities of Slovakia are the co-organizers. The aim of the competition is to incite and to motivate the individuals, municipalities and towns to conservation of cultural heritage and of the memory of nation also by means of keeping of chronicles or publishing of monographs of the municipalities and towns and to instigate their utilization for deeper getting to know of local and regional history and culture, societal and cultural traditions of municipalities, towns and regions. Two basic competitive categories (A – chronicles, B monographs) are subdivided into more subcategories: chronicles of municipality (up to 1 000 inhabitants and over 1 000 inhabitants), chronicles of town, town part and specific chronicles (chronicle of civil association, union, folklore ensemble, of group, popular music, brass band chronicle of school and the like; historic chronicle, for example gender or family chronicle); monographs of municipality, town or town part (scientific or scientific-popularizing chronicles; popularizing and text and pictorial or pictorial-text monographs); monographs on cultural heritage of municipality, town or town part, microregion, of region (publications about secular and sacral building monuments, monuments of popular-architecture, publications on national cultural monuments and the like; publications about popular clothing, traditional crafts, traditional popular food and the like). The chronicles and monographs are registered into the competition by chroniclers, authors, publishers of publications or by municipalities, towns, town parts, regional self-governments, institutions, associations or by unions, schools. The competitive works are judged by a specialized jury which awards the main prizes in all categories and extraordinary prizes. The ceremonial evaluation of the competition and handover of awards are carried-out in premises of the Slovak National Library in Martin where the award and selected competitive works are also exhibited. The Slovak Chronicle competition is carried-out every two years since 2000. It is state-wide progress competitive show of non-professional musical groups and soloists in the area of popular music, folk country, tramp song, ethno-pop, rock, jazz, jazz rock, blues, world music and the like. It is intended to interpreters which take up this activity non-professionally in their leisure time as an interest artistic activity. The aim of the competitive show is to encourage the talented musicians (instrumentalists and vocalists) acting in various musical genres, to increase the level of their author´s creation and to develop their artistic and concert activity. The competitors (categories: I individuals and couples, II musical groups) may present themselves with interpretation of own or taken-over compositions of Slovak and foreign popular music including adaptation of compositions of classical music and popular music. Their performances at all stages of the competition (at the regional, county and state-wide level) are judged by juries composed of active musicians, theorists, publicists and pedagogues of specialized schools. The juries classify the winners of both categories into golden, silver and bronze bands: the jury may awarded also a special prize for author´s creation which secures the direct progress into the state-wide round; also the extraordinary prize may be awarded. The National educational centre in Bratislava is the inviting party and specialized guarantor; the regional educational and cultural facilities are the organizers at the county resp. regional stage of the competition. The selected institution or subject is organizing guarantor of the state-wide round. The venues of state-wide round and evaluations are changing. The Cultural monument of year competition is organized by the Ministry of Culture of the SR in cooperation with scientific and specialized institutions from the area of protection of monument fund. The Slovak Gas Industry JSC, Foundation of SPP and Association of historical towns and municipalities of the SR are partners of the competition. The mission of the competition is to support a responsible access of owners of national cultural monuments to protection of cultural heritage. The aims of competition are: to appreciate from the point of view of contribution for protection of monuments the preparation and implementation of renewal/restoring of cultural monuments and of renewal of memorial zones and reservations. The cultural monuments are registered into the competition by their owners and monument territories by the mayors of municipalities or by Mayors of towns. The registered projects are judged by a specialized jury composed of representatives of the Ministry of Culture, of competition partners, Monument Authority of the SR, of specialized and corporative institutions being engaged in monument protection. On the basis of its suggestions the minister of culture award a title of Cultural monument of year (utmost 4 titles annually – 3 cultural monuments, 1 monument territory). The visual object with Fénix title is the symbol of the competition. It is state-wide competition for the best thesis of graduates of colleges of architectonic specialization. The prize is awarded by Union of architects of Slovakia and Fund of Fine Arts since 1990. It bears the name of significant representative of modern Slovak architecture: Ing. arch. Jozef Lacko (* 19/01/1917 Zvolen – †09/09/1978 Bratislava). The prize is awarded without respect to category and field of architectonic, urbanistic or interior creation, resp. to theoretic thesis. The colleges of architectonic focus nominate the graduate´s projects into the state-wide round which successfully passed through the first, college resp. school rounds. With regard to diversity of projects (from the interior and detail design through projects of objects, polyfunctional complexes up to urbanistic ensembles and landscape wholes) the jury awards in the state-wide round in addition to the main prize also remuneration for specific contributions in area of architectonic creation. The „Pro Huma bonus is for the best level of solution of environment humanization, the „Pro Art” bonus is for the best level of expressive and visual values of architectonic design, „Pro Philosophy” for the best philosophical and ideological processing of the architectonic design, „Pro Natura” bonus is for sensitive intervention contributing to the protection of landscape character of natural environment, „Pro Futuro”, „Pro Urbium”, „Pro Exhibit” and the like. It is a state-wide progress competition and show of soloist dancers in popular dance as the top event of this kind in Slovakia. The National educational centre in Bratislava is its inviting party and specialized guarantor. The aim of the competition is: to incite the interpreters of popular dance and dancing pedagogues for searching and getting to know of traditional dancing material; to instigate the interpreters to a deeper acquaintance and appropriating of popular dance and for its creative and quality interpretation; to contribute to preservation and developing of unique values of popular dance as a part of our intangible cultural heritage, to familiarizing of public with values of popular dance and with its interpreters. The soloists, dancing couples, alternatively the threesomes in competing categories (A – dancers interpreting the popular dance according to significant dancing personalities, B – dancers interpreting the local dancing tradition from own region, D – interpreters of popular dance in age from 10 to 16 years interpret the dance according to own choice); the bearers of popular dancing traditions are a non-competitive category. The state-wide round of competition takes place in Dlhý Klčov, in birthplace of Juraj Šaffa dancer and the Upper Zemplín educational centre in Vranov nad Topľou and the Dlhé Klčovo municipality are its organizers. The dancers proceeding from regional rounds of competition are its participants, in non-competitive part the bearers of dancing traditions and dancers from abroad present themselves. The performances of contestants in state-wide round are judged by a specialized jury composed of active specialists in area of ethnochoreology, dancing pedagogy, ethnomusicology and ethnology which will engage the contestants in competitive categories into the golden, silver and bronze bands. The best interpreters in particular categories receive title of laureate (also two laureates may be). The specialized jury may award also special prizes. The laureates of individual categories present themselves in a programme of Východná Folklore Festival. Since 1993 a regional competition took place in Dlhý Klčov, since 1997 it has the state-wide character; since 2004 it takes place as the state-wide competition with international participation. It is a state-wide progress competition and show of choreographies of folklore collectives as a top event of this kind in Slovakia. The progress competition (regional and county rounds, state-wide round) has a three years periodicity. The National educational centre in Bratislava is its inviting party and specialized guarantor, the selected cultural subject is organizing guarantor of the state-wide round. The goal of the competition is: to create space for presentation of creation of nonprofessional folklore collectives; to increase their artistic level; to popularize the upbringing by popular art; to lead the youth and public to recognizing the traditional popular culture. Nonprofessional folklore collectives from Slovakia and collectives of foreign Slovaks compete with competing turn drawing from the traditional popular culture from the territory of Slovakia and from the area historically populated by Slovaks. The state-wide round is carried-out in Liptovský Mikuláš and the Liptov Cultural Centre in Liptovský Mikuláš is its organizational guarantor. The choreographies in the state-wide round are evaluated by a specialized jury composed of active specialists from the area of choreography, ethnochoreology, dance pedagogy, ethnomusicology and ethnology. The jury assigns the competitive turns into the golden, silver or bronze bands. The best competitive turn receives a title of laureate (also two turns may be laureates) and also special prizes may be awarded by the specialized jury. The laureates present themselves in a programme of Východná Folklore Festival in the following year. The state-wide progress competition a show of singing ensembles of adults is the only state-wide progress competition of this type. It is carried-out in two years periodicity since 2013 and it goes on in the tradition of state-wide competitions for adult singing ensembles which took place from the seventies up to the end of the nineties. The National educational centre in Bratislava is its inviting party and specialized guarantor; regional educational centres and cultural centres organize the regional and county rounds. A selected cultural subject is organizational guarantor. The main aim of competition is to create the space for presentation, mutual confrontation and inspiration of amateur singing ensembles. Large singing ensembles (mixed, male or female ensembles with a number of singers from 25 to 45), chamber singing ensembles (from 14 to 24 singers) or vocal groups (from 6 to 12 singers) take part at it. The performances of competing ensembles at all stages of competition are evaluated by specialized juries which classify the ensembles into the bands (golden, silver and bronze bands). In venues of regional and county stages and of the state-wide round the competition betters the cultural offer for the listeners of serious music. It is a state-wide progress competition and show of large and middle brass band music orchestras. The brass bands from Slovakia and from abroad in middle cast (up to 40 musicians including conductor) and in large cast (over 50 musicians including conductor) can take part at it without age limitation. The main aim of competition is to present the artistic level and results of activity of large and small brass band music orchestras and at the same time to watch and professionally to direct this area of the interest artistic activity. The competition enables a confrontation of creative accesses of work of individual collectives and it contributes to the increase of level of this musical genre. The National educational centre in Bratislava is the inviting party, the educational centre and Association of brass band musics of Slovakia are the specialized guarantor. The National educational centre, regional educational and cultural centres are the organizers; a selected cultural subject is the organizational guarantor of state-wide round. The competition is a two-stage one (regional rounds and the state-wide round). The competitive programmes are evaluated by a specialized jury according to CISM criteria by point rating in particular competitive bands: the golden band is with distinction (over 90 points), golden band (over 80 points), silver band (over 70 points), bronze band (over 60 points) and for participation, independently in each category. The brass band music that reached the highest point number is the absolute winner. The competition is carried-out in two years periodicity since 2011. A state-wide progress competition and show of nonprofessional creative creation tie up to a tradition of competitive Creative Dubnica event which arose in Dubnica nad Váhom in 1963. The creative spectrum competition supports the development of nonprofessional visual creation in entire genre diversity (drawing, graphics, painting, plastic art, useful creation, works of intermedia character – photographic record of action art, land-art and the like; it provides a space for presentation and confrontation in regional also state-wide context; it helps to obtain overview on the total level of professional visual creation in the SR for concrete period. The competition is intended for youth and adults, it is not limited in genre and themes. The authors are classified into three competitive categories according to age (A – from 15 to 25 years, B – from 25 to 60 years, C – over 60 years), the peculiar fourth D category is formed by authors from 15 years which are not creatively schooled with specific creative expression (lay creation – art brut, naive art, art of outsiders and so on). At all stages of competition the competitive works are judged by specialized juries; the specialized jury of state-wide round of the competition is appointed by general director of the National educational centre (NOC) from members of advisory board of NOC for creative creation, and also further specialists, theorists and professional creative artist are nominated by him. The jury of state-wide round awards prizes and certificates of merit in all competitive categories and it chooses a collection of works for Creative spectrum state-wide exhibition. The National educational centre in Bratislava is its inviting party and specialized guarantor; the regional and county rounds are organized by regional educational and cultural facilities. A selected cultural subject is the organizational guarantor of state-wide round. The vernissage of Creative spectrum state-wide exhibition connected with handover of awards and specialized seminar is its culmination. An all-Slovak literary competition is intended for young poets up to 30 years of age which up to now have not published poetic collection. It is the oldest literary competition of young authors in Slovakia. Its aim is to rouse the creative initiative of young poets and to create a space for artistic self-realization of talented authors. The competitive works are judged by a specialized jury which propose award of appreciations: the main prize with a title of Wolker´s Polianka laureate, three premiums and maximally five certificates of merit. The Wolker´s Polianka competition is carried-out annually in High Tatra. The meetings, discussions, literary evenings, rating seminar and debates of young poets with the representatives of contemporary poetry and readers are part of the event. The Literary Fund and Association of Organizations of Writers of Slovakia were organizers of Wolker´s Polianka; since 2017 it is declared only by the Association of Organizations of Writers of Slovakia. It is a state-wide progress competition and show of children´s dramatic creativity. The Golden silkworm is a top competition and show of ensembles and soloists of the theatre played by children (dramatic theatre, puppet, musical and dramatic, movement and pantomime theatres, dramatic play of children) in Slovakia. It presents the results of voluntary interest activity of pupils at schools. The aims of competition are: to present and confront the application of various styles of work with children in integration of majority and minority groups (healthy disabled, nationality groups and the like), to create a space for mutual inspiration, education and experience exchange of artistic and pedagogic management of children´s ensembles. New experience and knowledge from the area of children´s theatre are obtained by pedagogues and contestants at work in workrooms. The National educational centre in Bratislava and the Ministry of Education, Science, Research and Sports of the SR are the inviting parties of competition; the National educational centre is its specialized guarantor; the cultural and educational facilities, centres of leisure time, school facilities, regional educational and cultural centres are its realizers; the Šaľa town and Town cultural centre in Šaľa are the organizational guarantor of the state-wide round. The ensembles and individuals (pupils of 1st – 9th year of basic schools and of 1st – 4th year of eight-years grammar schools in age from 6 to 15 years including) compete with a staging or scenic miniature. The performances of contestants at all stages of competition are judged by specialized juries. The programme of state-wide round consists of show competitive part (presentation of stagings of ensembles and soloists nominated from 8 regional shows), of noncompetitive part (performance of ensemble appearing as a guess, accompanying events) and of educational part (analytical and rating seminars about the puttings of ensembles and soloists on the stage, creative workroom for managers of ensembles and directors, creative workroom for children – participants of show). Performances are evaluated also by the Forum of Golden silkworm children´s jury (children of basic schools in Šaľa and chosen children from acting ensembles). The most successful collectives and soloists from Golden silkworm are nominated onto the Scenic Harvest in Martin.